Richard D. Brecht and James S. Levine, eds. 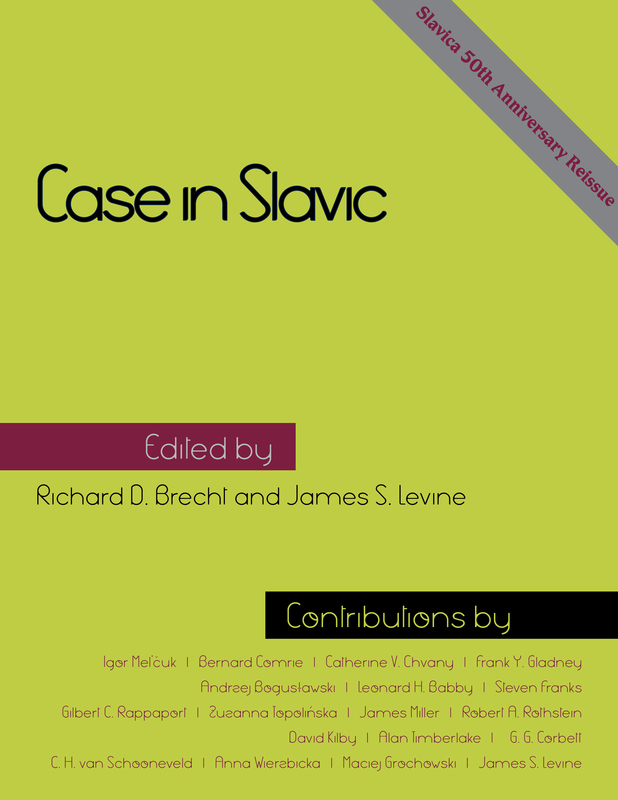 Case in Slavic was the third and final monumental collection of articles on Slavic morphosyntax published by Slavica. This is more overtly theoretical than the earlier volumes, albeit reflecting a democratic range of theories. Exploring these three anthologies along with the quinquennial volumes of American Contributions to the International Congress of Slavists, not coincidentally also published by Slavica since 1978, offers a representative survey of American work by Slavists sensu stricto (as opposed to general linguistic theoreticians, mostly native speakers of various Slavic linguists) on more theoretical brands of Slavic linguistics. Slavica would like to express its sincere thanks to Richard Brecht and James Levine for graciously granting permission for this reprint. We welcome comments on this and all the earlier titles released in this series.